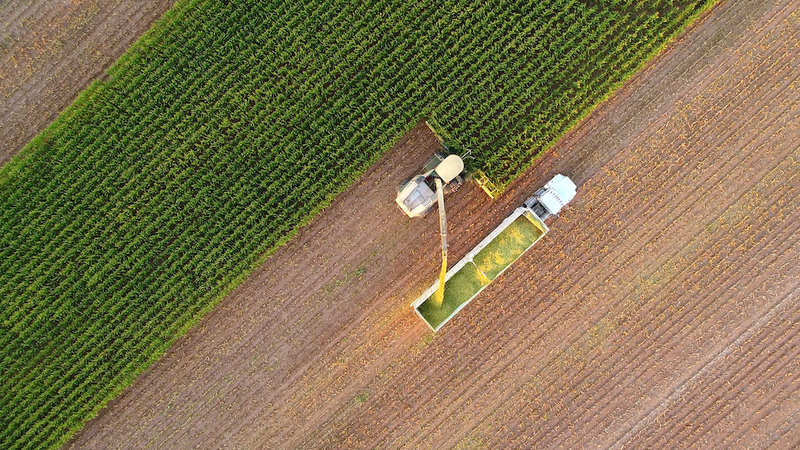 Our latest case study takes a closer look at how ORBCOMM IoT technology supports agriculture company Wiagro in increasing productivity for their customers, by ensuring stored crops remain at their best. “ORBCOMM’s technology, combined with the expertise of their field application engineers, helped us deliver a solution on time that exceeded customer expectations.” – Martin Codasco, Company Director, Wiagro. ORBCOMM partnered with Wiagro to deliver maximum ROI for their customer. The company wanted to store their soybean crop and sell when market conditions were most favorable. The grain required constant monitoring to ensure its quality and that it would be ready to sell when the time was right. Wiagro worked with ORBCOMM satellite terminals to deliver temperature, humidity, and C02 monitoring. Utilizing satellite technology was vital since the silos were in an area without cellular service. This is just one example of how IoT is improving agricultural operations. Smart agriculture solutions are using IoT Technology in many ways. From minimizing plant loss through pest, disease and plant health tracking, to monitoring rainfall and soil moisture to ensure optimum growing conditions, the future looks bright for IoT and Smart Agriculture. To find out more about how ORBCOMM can help its partners achieve email us at sales@orbcomm.com. Fishing is probably the most dangerous occupation in the world, and the people affected by accidents at sea are often among the poorest in society. The UN Food and Agriculture Organization estimates that of the four million fishing vessels worldwide, 98% are under 24m in length and so are not covered by any international rules and regulations. Consider the impact of one of these artisanal fishing vessels missing or lost at sea. In many fishing communities, while artisanal techniques are still used, governments are trying to improve the economic viability of this activity. One improvement is to process the fish in the village to add value beyond simply catching the fish. Governments help by subsidizing or financing refrigerated storage facilities. By processing and storing the fish locally, other community members can be employed, improving the local economy. With the whole community involved, a missing fisherman can cause significant disruption. If even one fisherman is stranded at sea, the local community ceases processing and production to search for that lost fisherman, as it can take up to three days for a government’s search and rescue to respond. There is the obvious personal impact to family and friends of a missing fisherman, but it also impacts the community economically. ORBCOMM is working to make a difference to these communities. 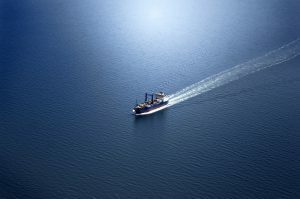 Combining technologies like satellite and terrestrial Automatic Identification System (AIS) and ORBCOMM’s satellite IoT service, we can monitor and report the location of a fishing boat or fisherman and provide the information to a monitoring software platform. We integrate the technology into small, easy-to-use devices that are easily installed in small vessels or worn on an armband and include an easily operated emergency alert button. With this information, local communities can more efficiently search for missing fisherman and decrease the inherent risk of artisanal fishing. In addition, fisheries protection agencies can enforce regulatory compliance to fishing regulations, as geofence functions can provide awareness of fishing exclusion zones. 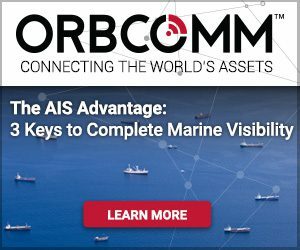 Contact us learn more about why ORBCOMM’s marine solutions are a game changer in enhancing the safety of artisanal fisherman and tracking IUU fishing by small vessels. In summer 2018, the UK saw one of the biggest and longest heatwaves on record. While this was great news for some, it posed its own challenges for the foodservice industry. As temperatures soared, fresh, cold and frozen foods were ordered by customers at much higher levels and with greater frequency than normal. Retailers saw an increase of 2.2% in total grocery sales in a four-week period during summer 2018, a growth traced directly to the heatwave thanks to customers buying more fresh foods, beverages and snacks. According to Nielsen figures, it was the biggest growth volume outside of traditional periods since 2013. Dining al fresco became standard, ice cream was more popular and fresh burgers and olives saw significant growth. Shoppers spent +4.5% more on groceries in the last four weeks to 14th July, as the hottest June in more than 40 years. Out of this irregular occurrence came an unlikely hero – the refrigerated rigid truck (or the rigid reefer as it is sometimes called) – the “workhorse” vehicle for many fleets in the foodservice industry. The strengths of the refrigerated rigid – combined with advanced telematics – became something of a hero for supply chains under strain. Already, valued for its convenience for urban deliveries, the refrigerated rigid truck is designed to cope with multiple stops, frequent door openings and operation day and night. Its payload capacity is ideally suited to foodservice operations and its temperature management capabilities are just what is required for these conditions. Hauliers were asked to prove that their cargo was delivered on time and at the right temperature, all while ensuring that their drivers were not overworked and operating within driving and working hours regulations. And just because there were more jobs and not enough hours to complete them, fleets still had to ensure that drivers did not abandon fuel-efficient, legal and environmentally-friendly driving styles. For both own account operators and for-hire foodservice operators, summer 2018 was a test of their vehicles and the telematics data used to support them. Temperature data needed to be available in real-time and reported on historically to shippers within minutes of delivery. Tachograph data from drivers needed to be instantly viewable to planners so that additional stops could be added. In addition, engine data needed to be analysed to ensure drivers were not speeding between locations to avoid missing delivery slots or cooling themselves down with excess idling. The primary function of a refrigerated rigid is to keep its cargo cool. During times of extreme hot weather events, cold chain monitoring solutions are even more important. With an increase in temperature-sensitive produce, hauliers and private fleets need to be sure that the assets they carry can be maintained and delivered at the right temperature. Constant reporting is required; shippers and receivers want immediate proof of temperature consistency during trips, sent by email in graph formats that can be instantly understood. Multiple short stops with frequent door openings/closings are also a challenge. Shippers and receivers are always keen to know how long doors have remained open and the effect of this on temperatures. 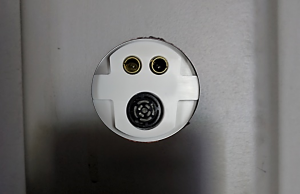 By connecting a door switch into the platform, hauliers are able to use telematics to show the length of times a door is open at delivery – and the temperature movements that occur during that period of time. Geo-fences can monitor where and when a door is opened, alerting management to any unplanned or unauthorised access. If something does go wrong, real-time alerts can be the best friend of a dispatcher. Telematics can provide automatic error detection in reefer units and set variances and tolerances based on the cargo carried. Anything out of the ordinary triggers an alert, so a driver and dispatcher can check conditions immediately. Temperature data is not the only data refrigerated fleets need to operate with; compliance data is equally crucial. On any given day in the UK, there are hundreds of foodservice companies using thousands of drivers to deliver multiple cold chain products. Dispatchers, planners and operations managers need to keep a close eye on their drivers to ensure they are working to driving hours and working time legislation. 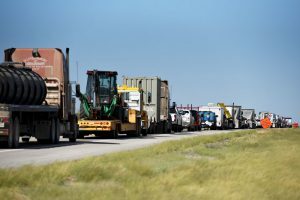 During times of extreme heat, when order requirements might increase and driving conditions can be tough, the success of a single job can hinge on whether a driver has enough driving and working hours left to fulfil the delivery. Live tachograph and working time data become critical for dispatchers and planners to keep an even closer eye on drivers than normal, to ensure they have time left to fulfil every job. Real-time tracking and cargo visibility help drivers do more with their driving hours. With in-depth knowledge of how long a driver has left, planners can schedule or reschedule as needed. With the increased number of deliveries during a hot summer, there is more pressure too on detention times for deliveries. Using geo-fencing, telematics systems can be used to monitor and compare wait times for drivers day-to-day at specific pick-up points or depots, to ensure that these do not drift outwards as the weather heats up. 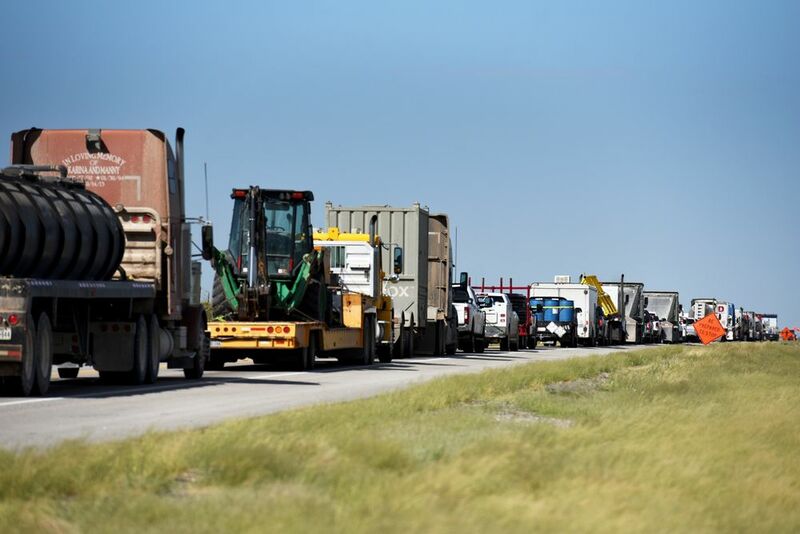 In times of extreme heat experienced in summer 2018, operators need to constantly monitor what’s happening with their trucks and drivers. For drivers, there are several issues in hotter weather. Due to the increase in the number of jobs, there is a temptation to speed between deliveries. During deliveries, there is potential for a spike in idling across the fleet as drivers struggle to keep their cool. Each of these can have a big impact on an operator’s bottom line. To keep control, fleet managers need to be able to monitor, review and analyse drivers’ performance closely – and communicate more frequently to drivers if they see any slippage from agreed metrics. Driver data taken from the CANbus can be used to generate driver scorecards in the truck through an in-cab display, like speeding, idling, harsh braking or acceleration. In-cab displays can also communicate jobs details and two-way messages; driver messaging available at-a-glance means drivers know exactly where their next job is coming from and dispatchers know that it will get done. If drivers can also see temperature data in the cab through this display, drivers can also report any deviations that they see. ORBCOMM’s refrigerated solution was the ideal partner for UK foodservice organisations in summer 2018. When orders were piling up, operation teams were under pressure and drivers were under extra stress, the combination of the rigid reefer’s strengths and a complete telematics solution – on the one platform and the one screen – was there to give hauliers some breathing space. Through being able to see temperature, tachograph, vehicle and driver performance data on the one screen (the ORBCOMM solution for refrigerated rigids uses only one hardware device, the data sits on one portal and the analysis is available from one screen), dispatchers, planners, safety and compliance managers could take reassurance from telematics knowing that assets were arriving on time at the right temperature. 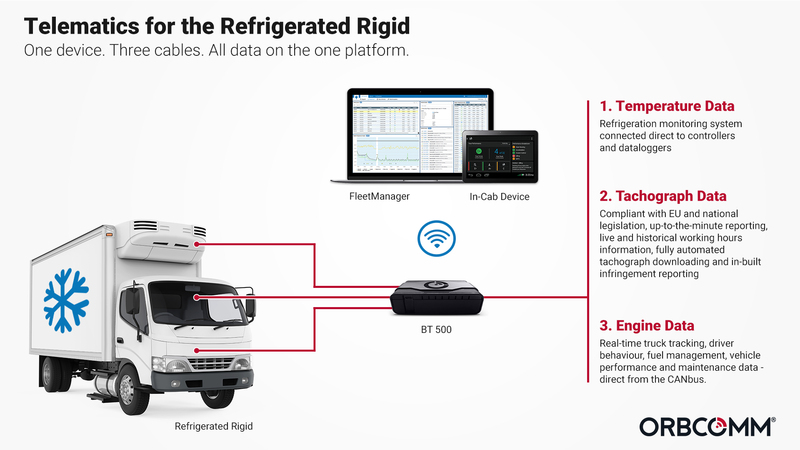 Operators were able to rely on refrigerated rigid vehicles that are nimble and flexible – and telematics solutions that do a lot on a single platform. With the UK food and grocery industry set to grow by £28.2bn by 2023, it’s more important than ever before for operators to look closely at clever combinations for their business. As another heatwave is looking likely for summer 2019, operators might look at how they can be a bit more prepared. To learn more about our products email us at sales@orbcomm.com or visit our tachograph pages here. The new GT 1200 series is available as an all-in-one, feature-rich tracking device with integrated cargo sensors, delivering powerful remote asset management and cargo status detection with minimum wiring. Integrated cargo sensor: GT 1210 underside view showing the cargo sensor facing into the asset. The new GT 1200 series is part of ORBCOMM’s comprehensive innovation plan to enhance nearly all of our products to expand our existing capabilities and provide our customers with advanced technology and unmatched value. The GT 1200 product line features the latest in asset tracking technology and offers incremental benefits to our transportation customers looking to more efficiently manage their assets, maximize driver productivity and improve their bottom line. If you’re attending TCA, make sure to schedule a meeting, or stop by ORBCOMM’s booth #107 to see firsthand how the enhanced GT 1200 product line can help streamline your fleet operations. Be sure to follow #2019TCA and @ORBCOMM_Inc on Twitter for the latest from the show floor. 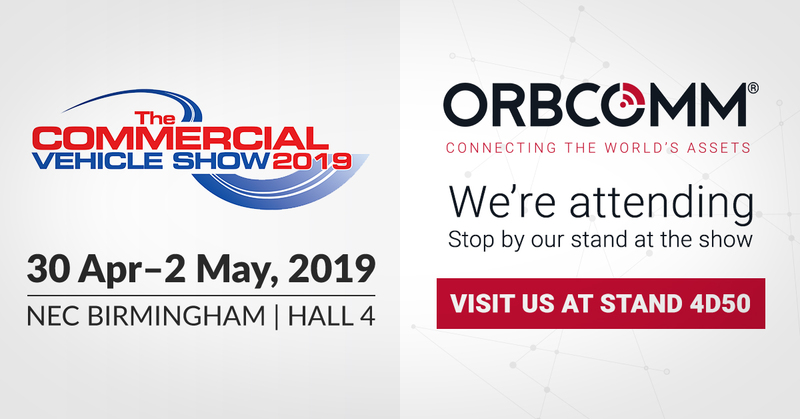 For those we won’t see at this year’s convention, feel free to reach out any time to learn how ORBCOMM can help you with your trailer and container tracking needs. Are you looking to combat the driver shortage? Attack regulations head on? Battle against rising costs? Take on the competition? Join ORBCOMM at Truckload Carriers Association (TCA) Annual Convention 2019 to discover how the next generation in telematics can help you defend yourself and your company against the rising wave of industry challenges. Now more than ever, it’s important to have a comprehensive telematics solution in place to remain strong and competitive in the face of adversity. Get your hands on the new GT 1200 series – ORBCOMM’s new next-generation, solar powered trailer and container tracking devices. Going to be there? We’d love to meet with you! 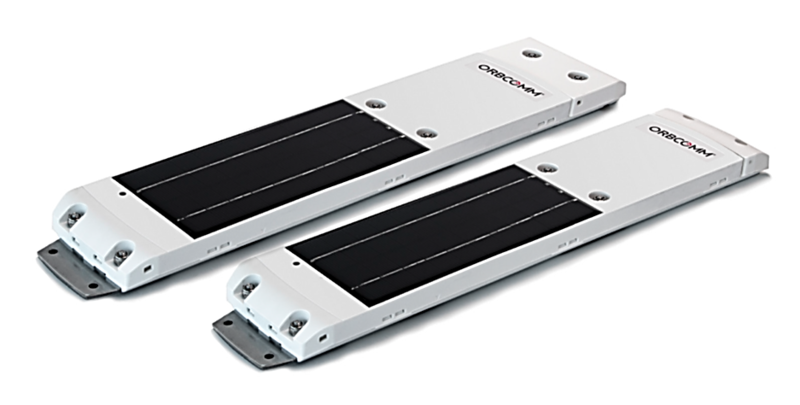 ORBCOMM’s new solar-powered GT 1200 series delivers the latest in asset tracking technology at unprecedented value to customers. Building on the strengths of our industry-leading GT 1100, the new GT 1200 series enhances ORBCOMM’s trailer and container tracking solution, delivering a new ultra-compact design, expanded support for wireless sensors, quicker and safer field installation, an improved solar panel with greater charging capacity and many more advanced features. The new GT 1200 series is part of a turnkey solution that includes an application with powerful reports, dynamic dashboards, advanced analytics and two-way commands. Customers gain complete visibility of trailers and containers virtually anywhere in the world, improve asset utilization and driver productivity, streamline operations, and expedite cargo delivery to maximize ROI. GT 1200: Get complete visibility for trailers and containers without maintenance or battery changes with advanced reporting and analytics to help streamline processes and improve efficiencies. GT 1210: This all-in-one, feature-rich tracking device with an integrated cargo sensor delivers powerful remote asset management and cargo status detection capabilities. At this year’s TCA show, we will also be showcasing the latest from our truck management solution, which combines driver-focused, in-cab devices based on Android, ORBCOMM’s BT 500 truck tracking hardware and powerful back-end reporting delivered by our FleetManager application. FleetManager provides customers with a single view of all asset types in one place. It gives insight into powerful intelligence for improved decision making to comply with regulations, increase safety, save money on fuel and improve productivity. New features on display will include integration with additional in-cab devices such as Samsung tablets and the new Garmin 780, which are especially developed for truck fleet telematics. Our solution is focused on helping fleets switch from AOBRDs to full ELD compliance before December 2019, improving driver performance and fleet safety through driver scoring and increasing workforce productivity through enhanced jobs, messaging and navigation functions. Be sure to follow #2019TCA and @ORBCOMM_Inc on Twitter for the latest from the show floor. For those we won’t see at TCA 2019, please feel free to reach out anytime to discuss connected assets and fleet telematics. In the UK, Transport remains the largest emitting sector of greenhouse gases. Latest figures released this week, show that while overall figures are down by 3%, emissions are still a huge problem and transportation plays a major part in this. While this week’s figures show the transportation sector still has a way to go in lowering emissions, there are plenty of industry-wide initiatives aimed at doing just that. One such initiative is the Logistics Emissions Reduction Scheme (LERS). Backed by the Freight Transport Association (FTA), LERS is an industry-led programme aimed at a greener future. We talked to the FTA to see how LERS will record, report and ultimately reduce freight carbon emissions and have a direct impact on reducing transport sector pollution. 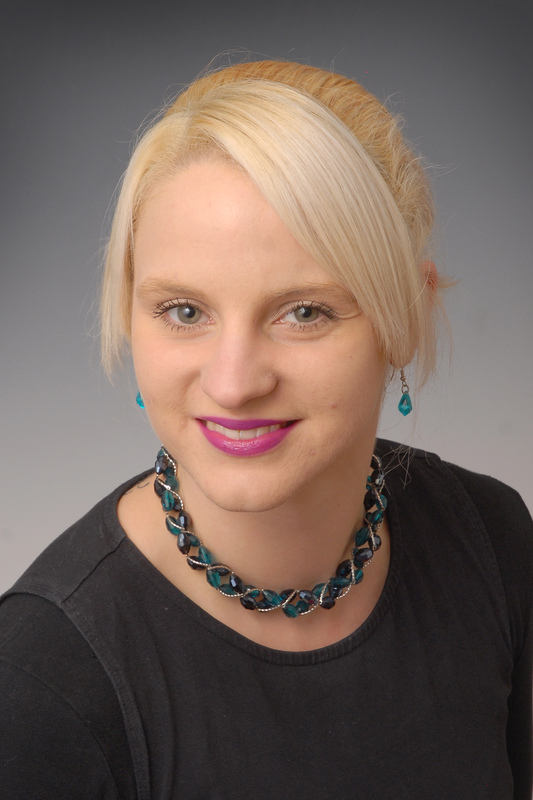 Read our Q and A with the FTA’s Rebecca Kite below. According to the FTA, joining the LERS initiative delivers a number of benefits. It carries weight with trade associations, logistics services and the Government. It can help to demonstrate an operator’s green credentials and it is totally free and confidential to join. Fuel efficient driving techniques can save truck fleets thousands of dollars per year, but perhaps more importantly, they can also positively impact driver safety scores, increasing road safety for all users. For example, slowing down is just a single driving behavior that reduces fuel consumption and increases safety. Telematics enable driver safety scoring, helping managers improve fleet safety. 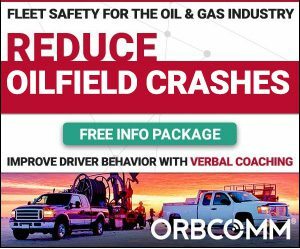 While it’s impossible to control external factors like fuel prices or other road users, drivers are one constant that have a direct impact on fleet safety and fuel savings. Fleet managers who help drivers change their behavior can have a powerful, long-term impact on monthly fuel-spend as well as improving Compliance, Safety and Accountability (CSA) scores. While nearly every action in the cab impacts fleet safety, not all actions create the same results. Speeding, the use of harsh braking and over-revving all have a significant impact on fleet safety as well as impacting fuel economy. Minor changes to these habits can result in a positive boost to safety scores. As fleets increasingly implement programs to thank drivers for their economic driving abilities. Here are some of our simple tips for safer, more fuel-efficient driving. 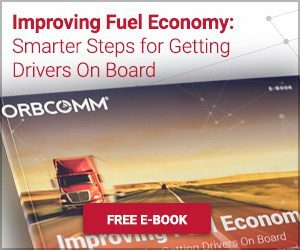 Download our full e-book on Fuel Economy: Smarter Steps to Getting Drivers Onboard.